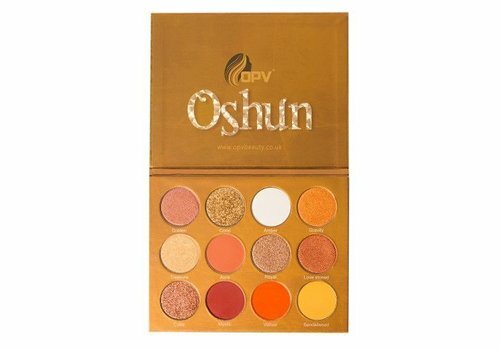 Buy OPV Beauty makeup online at Boozyshop, the makeup webshop! Are you someone who is completely addicted to the latest make-up trends, always chooses quality but does not want to spend a huge amount of money on your make-up? Say helloooo to OPV Beauty! This beauty brand offers a high quality for a price that makes you happy. That way your make-up is always flaked, without having to plunder your bank account! 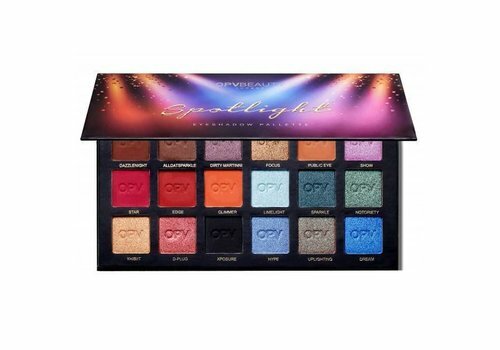 OPV Beauty has created products that enable everyone to create a glamorous look like the A-list celebrities, in such a way that it is possible to have a Hollywood look at affordable prices! The OPV Beauty designers and manufacturers produce a range of high-quality beauty products that are suitable for all skin types. They specialize in highly-pigmented lipsticks, eyeshadow and concealers that enhance everyone's beauty. The products are used by numerous make-up artist and his A-list customers! The founder of OPV Beauty already dreamed of the cosmetics industry since when she was a little girl, enchanted by the beautiful women and men in glamor magazines. Now she has made this dream come true by setting up OPV Beauty, with which she wants to make glamor make-up available to everyone. OPV Beauty is originally from London, where they constantly work on creating and innovating new and existing products so that their customers can enjoy the latest trends! OPV Beauty offers a varied assortment. The real eye catchers in their collection are the eyeshadow palettes. They are really nice and well pigmented, which makes them a must for every beauty lover! In addition to the eyeshadow palettes, the Pressed Glitters are an absolute must for anyone who loves a beast (read: very much). Beauty addicts are completely happy here! In addition to these products, OPV Beauty also includes liquid highlighters and false eyelashes. Order OPV Beauty at Boozyshop now! Can not you wait until you can add OPV Beauty to your stash? Shop the superpopular brand now at Boozyshop! Not only will you receive a free gift when you order for more than € 30. Go get yourself some OPV, beauty!